Rakuten Kobo in Deal to Acquire Tolino from Deutsche Telecom – Wait, What? In 2015 the Japanese ecommerce Rakuten secured a strong position in the library ebook market by buying OverDrive. Now they're making a similar play in Germany, although it is not entirely clear what is going on. Deutsche Telekom has quietly filed paperwork with the Bundeskartellamt, the German Federal Cartel Office, to sell its stake in the Tolino ebook platform. (The paperwork went in on the 22nd, and the public notice published on the 30th - during Germany's Christmas break, when they hoped no one would notice.) The buyer is listed as Rakuten in Japan, and not its subsidiary Rakuten Kobo, which is based in Canada (a curious detail, that). Along with Amazon, Tolino is one of the two major players in the German ebook market (there's no current info on which is in first place). Tolino is supported by several major German media retailers and the bookseller Thalia, as well as Deutsche Telekom and booksellers in the Netherlands and Italy. Tolino provides the apps and ebookstore platform which the partner retailers rebrand and use to sell ebooks to their customers. Tolino also provides the branded Tolino ereaders, including the Vision 4HD, which launched in November 2016. We don't know the terms of the deal, and in fact we still don't know exactly what Rakuten is buying from Deutsche Telecom. Rene d'Entremont, Kobo's Director of Public Relations, has confirmed the news but has not revealed any additional details. Rakuten Kobo has entered into an agreement with Deutsche Telekom for the purchase of assets related to eBook technology, and will share details as they become available. I am still waiting to hear back from other sources, but what I can tell you right now is that Rakuten is not buying Tolino outright. The thing is, Deutsche Telecom doesn't own Tolino. The last I had heard Tolino was still owned by the retailers who founded the ebook consortium back in March 2013. According to Andrew Rhomberg, founder of ebook startup JellyBooks, the most likely possibility is that Kobo is taking over the Deutsche Telecom operation that was/is service provider to Tolino. If this is correct then Kobo won't be acquiring Tolino so much as the platform backbone or infrastructure. 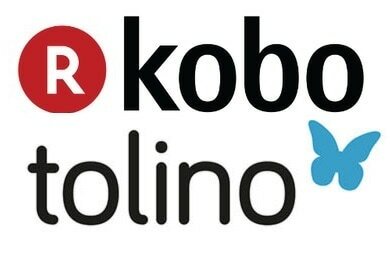 Kobo would own the software powering the Tolino apps and website, but not Tolino itself, Andrew explained to me. This could lead to a merging of the Kobo and Tolino platforms while still maintaining distinct brands. On the other hand, it is also possible that Rakuten could keep Tolino as a separate company in the same way that Kobo, Overdrive, and Aquafadas continue to function independently. But of course that is still pure speculation; we will have to wait for an official announcement before we know what happens next. What Could Have Entered the Public Domain on 1 January 2017?